I want to thank Brian Miller for suggesting this topic as a post script to the Jazz and Beat Poetry articles that precede this one. These American haiku were invented by Allen Ginsberg, the beat poet best known for his poem Howl. Ginsberg a practicing Buddhist and a friend and student of William Carlos Williams sought to cut all unnecessary words from his work. “In talking with him (Ginsberg), he spoke of how the 17 characters of this Japanese form just don’t cut it as 17 syllables of English, and that divvying them up in 5-7-5 syllable lines makes the whole thing an exercise in counting, not feeling, and too arbitrary to be poetry. “In a 2001 interview with Anne Waldman and Andrew Schelling, Andrew told me Allen’s idea for American Sentences. Allen’s maxim was, “maximum information, minimum number of syllables,” seventeen is a small number of syllables. So how to make a poem that really carries the weight of a poem; I think that fascinated him and that it should become a form that is used regularly in workshops. 1.02.01 — Alternating oil massage, we decide against greasing up the cat. 1.03.01 — Bruxism she says, is like sleeping next to a running tractor. 1.27.01 — Outside ritzy Pine Street shops, two legless men among those seeking change. 6.16.13 – Any writer can ink stain pants, a real writer ink stains boxers. 7.03.13 – The potted plants outside the medical marijuana shop are dead. 8.3.13 – After the rain, sidewalks under the plum tree are slick, smell like jelly. Four skinheads stand in the streetlight rain chatting under an umbrella. This is the challenge to write one or more American Sentences today. One should take into consideration two images and put them in juxtaposition in order to create a sort of tension. It seems that in the texture of beat poetry they should have a kind of grittiness, or reality gleaned from the two images. Andrew Schelling recommends these devices to compose the American sentence: imagism, juxtaposition, phenomenology, found poems, dreams, relationships, mindfulness, rhythm and alliteration, demotic speech, condensing thought by extracting any unneeded words such as articles and extraneous adverbs or adjectives. Writer, Poet, Musician, Mother, Grandmother, Nature Lover, Book Lover, In All Things Curious - a dilettante - somewhat eccentric - but not too far out of the main stream. Welcome to the pub everyone. We’re having one of our 12-15 cool days here in Texas. Grateful it has finally chilled enough to get some late autumn color. Today we’re considering a form that could be very useful. You can think of it as haiku, or just a nudge to get started on a new poem. Have fun writing and reading. Looking forward to all your links today! Congrats Gay, thanks Brian, I had never heard of American Sentences, or American haiku, and found it fun, even liberating to write within. As an adjunct for the Beat Poet prompt, this one rocked. i am def a student of the beats and i found them originally in one of his collections (i think they are actually in at least 2 of his books) and read up online on it…for me it is the equivalent of what most of my poems start as in my notebook…and impression captured i will expand later. This is something new for me, can’t wait to explore it some more, and see what my muse comes up with! Well done! Fun! great idea, I learned something new. I also found Paul Nelson’s website to be a great source of info and inspiration. Thanks Gay! You’re stretching us again, Gay. I wasn’t quite willing but slowly began to find it intriguing. Couldn’t make it what you’d call poetic though. Hope to find some gems this evening. Found one set of gems already: grapelings lines are fab. shucks, aprille, and y’all. thanks :). I think there are some really good pens on the trail tonight. Ooh, cool! I’d not heard of this form of poetry (I’m wearing MASSIVE learner plates as a fledgling poet here, so this is great to learn about and read around. Thanks Gay (and Brian!) for the inspiration. I hope to get to catch up on my reading and commenting – busy week over here! ha. we should all be wearing those learner plates…when we stop, we have failed…. I couldn’t help but think of you and your twitter verse Bjorn … this seems to lend itself perfectly. I like the way it causes one to be circumspect, just like twitter does with it’s 140 characters. We had an exercise to condense classic poetry to haiku… but I also once expanded a haiku to a sonnet.. quite fun to go both ways, and a good exercise. was my condensation of Robert Frost’s October. Very cool. Yes, I’m learning a lot from this exercise. I hope to be able to “start” – just start poems. I have all these endings rumbling around in my head. Nice! It’s very provocative and I love the slowness of it. minimalism is def something i am learning…distilling…i like to be wordy at times…ha….but i am trying.. Interesting, Gay! I had not heard of “American Sentences” really, but I gave it a go and actually ended up writing a ‘true story’ even though this was not the intent of the prompt. Always nice to be able to stretch a bit! Mary, Kim Addonizio’s book has a couple of chapters talking about “getting started” writing. She was referenced on Paul Nelson’s site. I went to Amazon and downloaded the book. I never seem to be able to get a good start on a poem; always know where I want to end, but can’s find the way to “cut in” to it. This was full of good advice and some of the best has to do with paring speech which is necessary in writing these sentences. Really grateful to Brian for pointing me to something I knew about but had never considered as in depth as this. and you played them well M…. This was a cool exercise. I still have (very) limited online access, so will comment to everyone linked so far and finish making the rounds tomorrow, kids. Thanks Sherry – I understand. loved the american sentences gay… such a cool form to snapshot an image… would be even cool to go with a diary – one each day to capture a bit of its essence.. Yes I think so too. I’m always amazed at your perpetual energy Claudia. You are a great artist! Erase me! That link was an error–I am so sorry! I was enjoying yours but I have not worked with the prompt yet. yep agree – many, many good ones out there, Brian. Interesting the form seems to allow each poet to retain his/her voice. The vision that informs one’s poetry always unique to each individual finds its voice uniquely in this. I wouldn’t have thought it, but so far it’s proving true. Interesting points to ponder. Thank you Gay. Tomorrow (it’s almost midnight here, and my brain is on strike. See you then Viv, sleep well. As always – not certain if my offer is that of what is requested. Nevertheless had great fun messing around with original idea which has been much pruned. Thank you Gay – love visiting the ol’ bar here! Thanks for the interesting article. It’s interesting that Ginsberg saw the difficulty of 17-syllable 5-7-5 English language haiku and chose to retain the seventeen syllables and ditch the three line format. It is pretty commonplace for contemporary English-language poets to stick with the three lines of the Japanese haiku and use a reduced number of syllables. Either way, the results can be spectacular. And a small hint for everyone towards next week’s FFA – you’ll have more space to work with, but much shorter lines … smiles. to each his own eh? I’m not convinced that a single line really counts as a poem, no matter how many syllables it has in it! It’s late here, so I’ll be out on the trail tomorrow. who is to judge poetry eh? beyond our taste. it was intriguing & to someone means something. My kids would have liked it – they think binary – zero/one – one/zero – myself, I prefer the elegance of zero. Good show to him…have fun! it was a pirate musical…smiles…and it was fun…. Thank you Gay for hostng – I have not heard of this also – like Freya I too am a fledging poet still flapping wings – interesting and hopefully I will have time to join in. Happy writing one and all. flap flap flap…and already a name for ones self…smiles…i think you a wonderful poet…and quite honestly i rather like some of my fledgling stuff more than the polished…smiles. hey hitting the ground, earning a few scars…it all build character you know….smiles. can you see this bottom lip of mine hanging? i am going away for the weekend to a little artsy town and will sit and watch artists at work on saturday in their studio…that will def be my inspiration…oh and there is a great place that makes their own juices for breakfast…mmmm……cant wait to get back there…. I don’t understand. Why can’t there be a “love” button for really fantastic ideas like this one? I wish to more than “like” it. I started out a bit skeptic about this, and shortly decided I loved it too. Agree with Tony about 1 sentence poems (in theory) – seems like ending before one’s begun; however loved KB’s taking the American Sentence stating his metaphor and then realizing it in the following poem. I think that might be a great use of the form, and one that apparently Ginsberg discussed. I think that about Karin, Brian – but it’s true I possibly could have if I’d just walked through one door that I closed in order to open another one…story of a life, isn’t it? ha. wow. we make our choices you know….smiles. very well played on yours…like the visuals as well. yep…nearly midnite here too…off to bed…. This is a wonderful exercise, Brian and Gay, and got me thinking about Ginsberg, but I took it in a different direction and it doesn’t suit the prompt. I’ve been really beyond the bend, so just write what happens for now. Take care. 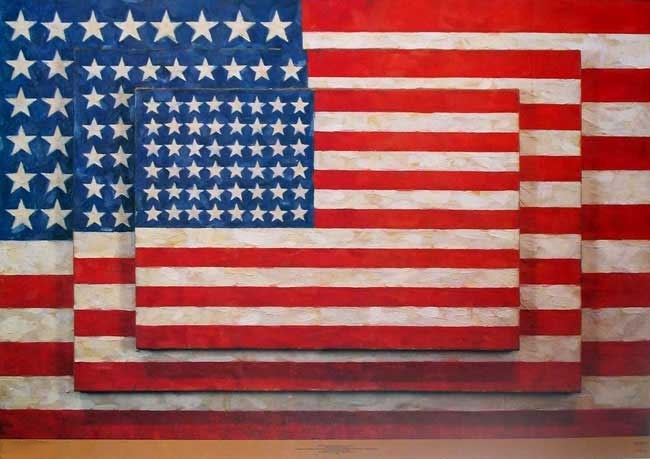 K.
ps – maybe will try the american sentence tomorrow–for now was thinking just of politics a bit and probably mine is more like ferlinghetti anyway–I think he did something along the same lines at least. k.
while we are at it…round 2 is up for me…with pics of my sons performance tonight. This is my attempt and very unlike me. I channeled something but I have no motive. Perplexing indeed. I write Haiku without as much trouble as I had with this today. Odd, that. I will try again another time. oh, you nailed it with a sweet progression…and raised some rather scary thoughts. I agree with Brian. Your work “blew me away”! Having fun playing a violin is impossible without being fairly good. But writing can be actually FUN for people like me who never took time to read or learn how. Brian and Gay, YOUR contributions and knowledge make probable the likelihood of enjoying this poetry business. Gratitude surrounds……. Thanks Steve – being back to my piano I’m having to teach my left hand all over again. I’ve spent the last three months with the first 20 Hanon exercises and have just moved on to the transcendants but the left hand is still fighting me – lost old muscle memory and doesn’t want to conform with all the signals I send it. Wonder if this happens to other musicians?? I’m hoping to train it up sometime. I am beginning to make music again – not ready to attack the Beethoven great sonatas again though. So we’re all learning all the time and some of us are having to re-learn. Hang in there Steve, your sentences were all about the lyric and the music today! aw shucks fiddleman….smiles…i have a feeling if i played violin it would only be fun for me…and no one listening…smiles…. This was fairly easy but not sure about good; it must be because I am quite drowsy and everything will look better, or worse, in the morning…. 😉 I can see how adept one might become with practicing these and it’s helpful in beginning to write. Now to read a few. I want to thank everyone who linked. I learned a lot – about these sentences, about each of you poets, and about myself with these. Each set became very personal and very enveloping I think. Well done, poets! I have lived the idea since first running across it. Haiku ( in English) just don’t feel right. One thing about American sentences, though: how do you present them? They don’t “look” like poems. I wrote them as sentences punctuating as I felt correct. Sometimes the hinge might be a dash or a semi-colon or just a comma; many I read didn’t have any. A few people wrote them as 5/7/5 or close – but I think Ginsberg thought if you had a four syllable word like I had with “excavator” it didn’t make sense to stop the line there when it was followed by ballet and the phrase was “Kobelco Excavator Ballet” – I could have broken there if I’d wanted to split my lines; but wouldn’t have been able to write it at all in haiku format. Most of those I read when researching the article and the bulk of the ones linked to it by our fellow poets were written in one line. I was unaware of these “American Sentences” very informative. I might have to try my hand at some. As I am busy with other poetic challenges at the moment, have referred you to a couple of earlier attempts. I’m glad of the reminder though, and will be trying some more of them in the future. I’m back home now, after a two-day drive along I-395 that follows the Eastern Slopes of the Sierra from Southern California to Northern Nevada. This drive, that I do about 6 times a year, is the source of so much inspiration. I posted a poem using this form a long time ago for OLN but its title is March Desert. I’m hoping that I can remember the poetic moments of my drive home to bring a new one to OLN. In the meantime, much catching up to do, so I know I won’t have time to do it (or comments) justice.. Thanks for this great prompt, Gay. How nice of you to come by Victoria. Totally understand if you can’t join in today but looking forward to next time. How wonderful to read about Ezra Pound here, just after I have published our new Carpe Diem Distillation episode … awesome. 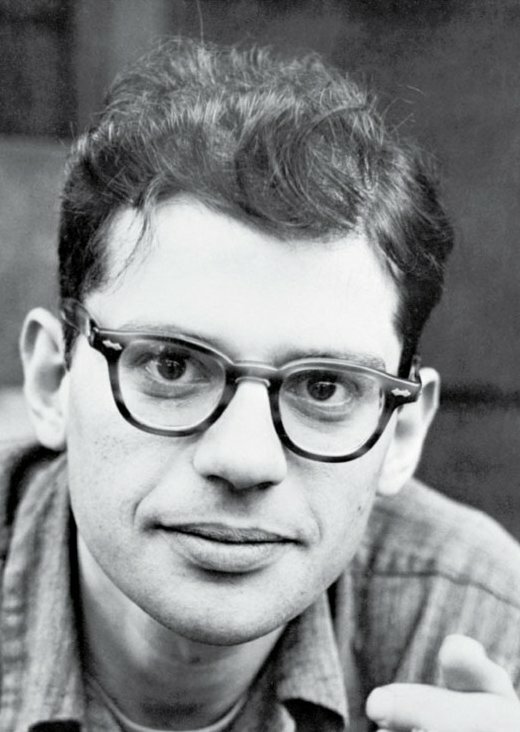 Ginsberg’s solutions, which first appear in his book Cosmopolitan Greetings, are his American Sentences: One sentence, 17 syllables, end of story. It makes for a rush of a poem, and if you decide to include the season and an aha! moment as Japanese haiku do—i.e., a divided poem with a hinge or pause separating the originator from the kapow!—well, more power to you!